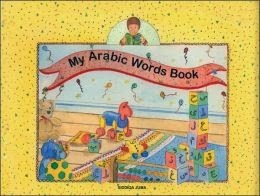 I am always getting asked which are my favorite books for introducing Arabic to young children. Below are the six Arabic-English illustrated dictionaries that I have in my home that I always used with my own three girls. And yes, I would recommend buying as many as you can since it was always nice we were able to leave them in so many rooms in the house. What is the point of having to track down a book, just so you can track down a word? The one in the kitchen got the most use, I must admit! Amery, Heather. 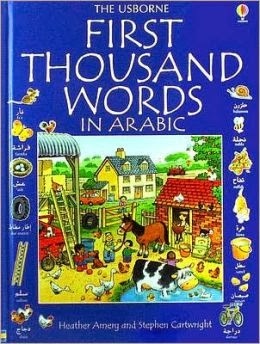 First 1000 Words in Arabic. Tulsa, OK: Usborne Publishing Ltd, 2001.
dictionary of all the words is included. Dumont, Deborah. 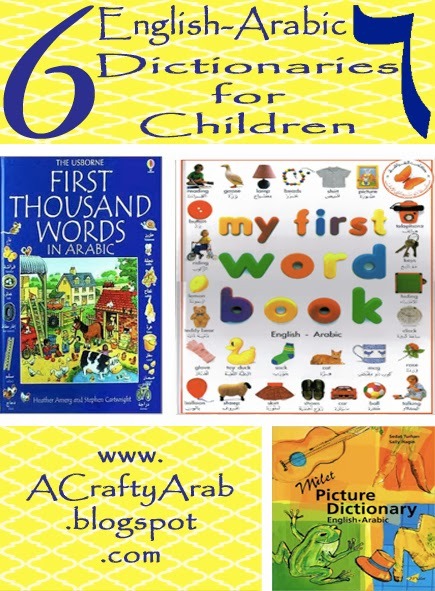 Hippocrene Children’s Illustrated Arabic Dictionary: English-Arabic/Arabic-English. New York: Hippocrene Books, 2001. -Designed to be a child’s very first foreign language dictionary (5-10 years). 500 entries, each accompanied by a large illustration. Lebanon Library Authors. 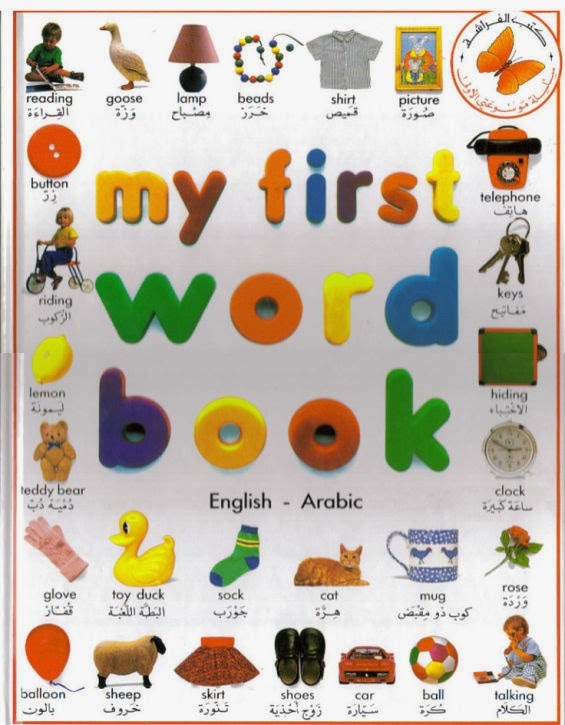 MyFirst Word Book English-Arabic. Lebanon Library Publishers, 1991.
are neatly arranged on the spreads. Ages 4-8.
there is a pronunciation guide to help with special characters. Sally. 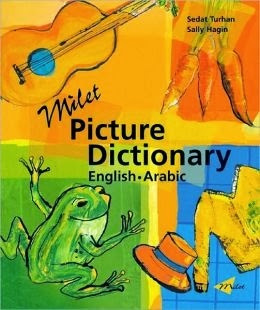 Milet Picture Dictionary: English-Arabic. Chicago, IL: Milet Publishing, 2003.
creativity as children learn to identify objects and words. Whitesides, Barbara. 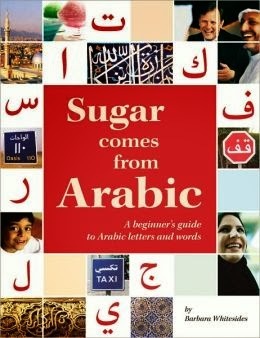 Sugar comes from Arabic. Northampton, MA: Interlink Pub Group, 2009.
writing your own name in Arabic!